At The Parfumerie it is important to us that you are nothing less than 100% satisfied with your purchase. 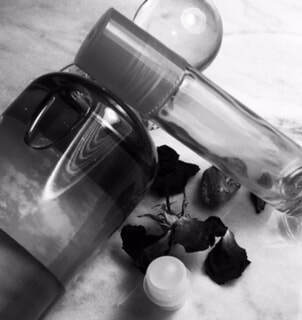 To assist in your personal fragrance order, we offer sample sizes for all of our hand crafted perfume blends, imported perfume oils, exquisite exotic attars, rare musk oils, and designer inspired perfume oils. Product Disclaimer: The name, trademarks, and copyrights are properties of their respective manufacturers. Any references to brand names are strictly made for comparison. The Parfumerie has no affiliation with the manufacturers and/or designers of the original perfumes. We have no affiliation to and are not associated with or sponsored by any of those trademark owners. All of our grade A designer inspired perfume oils are superior, uncut, smooth and very long lasting, however they are not the original patented perfumes or colognes. Returns: All Returns must be approved and issued a refund authorization number. Returns sent back to The Parfumerie without an authorization number will not be accepted.Your return will be processed promptly upon arrival, and we will send you a confirmation via email. Please allow 2 weeks from the shipping date for your account to be credited. Refunds will be made to the original credit card used for payment. If you have made a mistake in your order, just contact us at infotheparfumerieshop@comcast.net within 10 business days of the ship date for either an exchange or refund, less shipping costs. In the event there was a processing error on our behalf, please contact us to arrange for return shipping at no cost to you. Once the returned item has been received, we will promptly exchange and/or ship the correct items. Unfortunately, we cannot accept refunds on gifts or gift certificates. We cannot take returns on used merchandise or overly used products, as well as opened packages and cases. Stock Products returned within 10 days of delivery and in new and unused condition with original packaging are subject to a 30 percent restocking fee & after 10 days (not to exceed 30 days) a 40 percent restocking fee will be applied. We will not accept returns after 30 days of purchase. Damages: In the event you do receive items that are damaged, we require that all packing materials and box(s) are kept for inspection by the carrier. Some carriers may request to see packing materials. We ask that any photos of your broken items be sent to the infoparfumerieshop@comcast.net. International Orders: We ship worldwide. All International Orders must have insurance and tracking. In the event of a lost or damaged shipment, The Parfumerie will attempt to track the shipment. Not all countries scan tracking labels. Under no circumstance will The Parfumerie assume responsibility for lost/damaged shipments. The Parfumerie limits its obligation to the buyer to assist in locating the shipment (lost), filing an insurance claim (damaged) for the buyer. Items will not be refunded and The Parfumerie will not be liable for lost/damaged goods. The buyer is responsible for contacting local carriers or customs upon the item's arrival in the destination country. ​ Import duties and taxes are not included in the shipping and handling charges. We advise that you check with your country's custom office to determine what these additional costs are prior to your purchase. Our international buyer is responsible for paying all charges associated with the shipping and entrance into another country (VAT, DUTY, TAX, DOCUMENT FEE'S, ETC.) It is the buyer's responsibility to ensure that the items purchased are NOT PROHIBITED from entering the destination country. All items returned from Foreign Customs for any reason will be re-billed freight/postage. Delivery to locations other than a residential/business address including PO Boxes/ APOs/ FPOs/ DPOs may incur additional shipping charges due to restrictions on delivery methods. Circumstances in which additional fees are imposed such as Signature Requirements, Weekend Delivery, Returned Mail Fees, Abandoned Shipment Fees, Incorrect Address Returns are at the responsibility of the buyer. All Shipping Charges are at the responsibility of the buyer unless otherwise noted. Taxation: The Parfumerie is obligated to collect & remit all applicable sales tax due. The Buyer is to pay all sales tax on purchase if applicable. Credit: Under no circumstances does The Parfumerie offer lines of credit for retail or wholesale accounts. The Parfumerie, LLC. offers special/custom orders including perfume oil blends, custom sprays, exotic tinctures, imported oils, essential oil mixtures and combinations of various inventory items at the request of our customers. These items that are especially formulated and/or custom packaged are not considered part of The Parfumerie's regular merchandise and considered special orders as such. All special orders require a deposit of fifty percent (50%) of the invoice total with the balance paid prior to shipment of the merchandise. 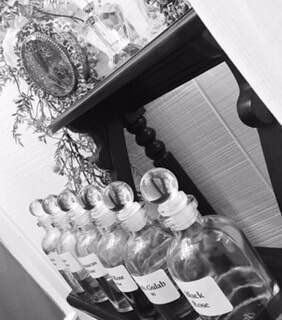 Custom perfume blending sessions with Angela are by appointment only with a non-refundable $50 session fee for one hour and $35 for each hour thereafter. Products charged separately. These terms are in effect for any/all special-order items unless otherwise stated in writing on your invoice. Unless defective or not as described, all special-order merchandise is nonrefundable or exchangeable. In no case shall The Parfumerie, our directors, officers, employees, affiliates, agents, contractors, interns, suppliers, service providers or licensors be liable for any injury, loss, claim, or any direct, indirect, incidental, punitive, special, or consequential damages of any kind, including, without limitation lost profits, lost revenue, lost savings, loss of data, replacement costs, or any similar damages, whether based in contract, tort (including negligence), strict liability or otherwise, arising from your use of any of the service or any products procured using the service, or for any other claim related in any way to your use of the service or any product, including, but not limited to, any errors or omissions in any content, or any loss or damage of any kind incurred as a result of the use of the service or any content (or product) posted, transmitted, or otherwise made available via the service, even if advised of their possibility. Because some states or jurisdictions do not allow the exclusion or the limitation of liability for consequential or incidental damages, in such states or jurisdictions, our liability shall be limited to the maximum extent permitted by law. The Parfumerie, shall not be liable for any special or consequential damages that result from the use of, or the inability to use, the materials on this site or the performance of the products, even if The Parfumerie, has been advised of the possibility of such damages. Applicable law may not allow the limitation of exclusion of liability or incidental or consequential damages, so the above limitation or exclusion may not apply to you. Remember burning incense and candles safely is your responsibility. We are not responsible for any misuse of our products. The Parfumerie, shall not be responsible for any injuries, damages or losses of any kind due to your use of any product purchased from The Parfumerie. You agree to indemnify, defend and hold harmless The Parfumerie and our parent, subsidiaries, affiliates, partners, officers, directors, agents, contractors, licensors, service providers, subcontractors, suppliers, interns and employees, harmless from any claim or demand, including reasonable attorneys’ fees, made by any third-party due to or arising out of your breach of these Terms of Service or the documents they incorporate by reference, or your violation of any law or the rights of a third-party.